Sponsor a brick to lay a solid foundation for children in poverty! Learn More. The Dream Project is a center for vulnerable children. 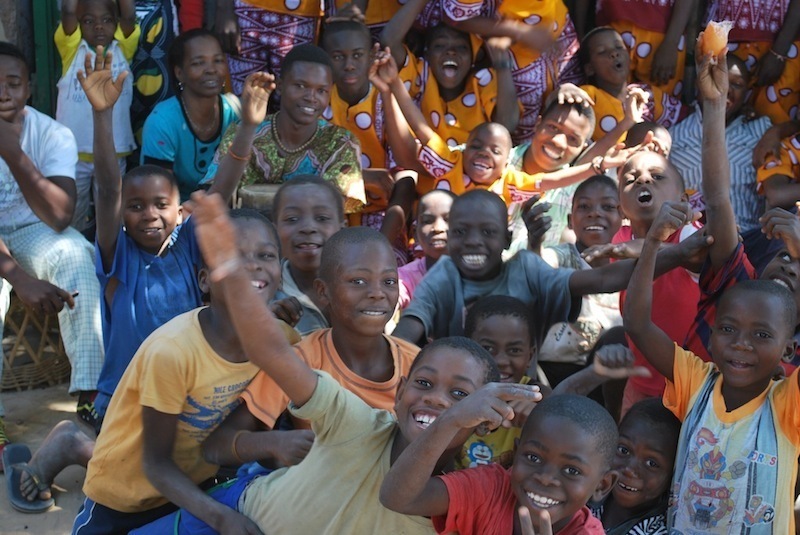 We support families in our community and have a family-style home for children who have been orphaned or made vulnerable either by poverty, or by the AIDS epidemic in Mozambique, Africa. Deliver family environments to orphaned, abandoned, and impoverished children. Restore children holistically, through education, Christian discipleship, and medical care. Equip children with vocational training and life skills for a chance to become productive members of their society in adulthood. Activate local adults to participate in helping the children in their communities out of spiritual and physical poverty. Mobilize individuals and teams to join The Dream Project on location for short and long-term mission efforts. Financial contributions from supporters like you are the only way that The Dream Project can continue to provide care and support to children who, without it, would not have hope. Here's how you can help; view our donation menu. Twelve young men were raised at 'Our Father's House' and provided with all of their basic necessities, including a place to live. These boys have now grown up and we continue to support them as they transition into higher education, vocational school, and their roles as adult leaders in the community. Our center is currently functioning as a transitional home as we transition the boys to independence and build them each a small home to begin their independent lives. Aside from the 12 children we have raised in our house, there are several families including dozens of children in the community who receive assistance with identity documents and education. Additionally, depending on individual needs, they receive assistance with health, housing, food, and additional basic needs. Many of the families we assist are led by widows. We support children be raised in family environments in the community or in small orphanage settings of 12 children per home. We provide help with medical needs in our community, we also provide health instruction to prevent some of the most devastating illnesses. Teaching the children in our care the ways of the Lord Jesus are of paramount importance for us. Many of our young men participate in an intensive 6-month discipleship training program with Youth With A Mission. Some of the children who graduate from the orphanage go on to participate in further Bible training as adults. One of our values is to provide education for those who cannot afford it. We provide school fees, books, and uniforms (when necessary) and identity documents paid for by The Dream Project. Many children might otherwise not have the opportunity to receive formal education. Many long and short-term missions teams and individuals spend time working with the children and improving the lives of those in Mozambique through The Dream Project. Projects range from building projects to medical missons and everything in between. If you or your church group are interested in coming to visit us in Mozambique, please contact us at julia@thedreamproject.org. Julia Uliano is the recipient of the AAPA 2009 Paragon Award for her humanitarian work. Our U.S. office is always in need of people who want to utilize their unique gifts to help The Dream Project run smoothly. If you would like to volunteer your time or talent to help at events, please contact us here. Please visit our secure donation page below to make a contribution. Please visit our Paypal site below to make a contribution. The Dream Project is called to bring suffering children to Jesus and to raise children in family. We rescue children and equip them to bring others out of physical and spiritual poverty as adults. Our mission has not changed, but just as time changes, our approach changes over time. We do not abandon our children when they turn 18, our children are our sons and daughters and we believe in their potentials to be world-changers. Our current focus is equipping the orphaned and vulnerable children we have raised that they would multiply what they have received. We also currently support impoverished families and orphans in our community, sponsoring their educations and supporting their basic needs. Over 100 lives are brought hope! We are Empowering our Mozambican leaders and equipping them to break the mindset and cycle of poverty through faith and their hard work instead of dependence. With profits from business initiatives in Mozambique we will open 2 new orphanages/centers for vulnerable children: The first led by one of our faithful staff, the second led by 1 of our faithful sons. We will also plant a church and support the further educations of our children, including medical school for another 2 of our boys. Profits from the businesses will help us to make progress toward our ministry becoming more self-sustaining. We also desire to encourage and provide rest and refreshment to staff who pour out their lives bringing hope to the poor. Partnership with Youth With A Mission is helping us to accomplish this mission. The training and sending of missionaries and advocating on behalf of voiceless children multiplies our efforts. Please partner with us that the Lamb would receive the reward of His suffering, the hungry would be fed, and the orphan would become a son and daughter. Rescue and Restore children holistically, through education, Christian discipleship, and medical care; equipping them to bring others out of physical and spiritual poverty as adults. Encourage and provide rest and refreshment to staff who pour out their lives bringing hope to the poor. Advocate and be a voice for the voiceless. Multiply our efforts through the training and sending of individuals and teams to the mission field. ($5500 each) to operate as busses and a milling machine! The Dream Project is a 501(c)3 nonprofit corporation. The Dream Project operates in the highest level of financial integrity. Each year’s operating plan is presented and approved by a board of directors. The board of directors is comprised of business owners, professionals, Pastors. Each initiative is approved and overseen by the entire board of directors. The finances given to The Dream Project are compiled by the independent accounting firm, Butler CPA and Associates, PLLC. This accounting firm has a designated staff that organizes every Dream Project financial contribution and ensures that each dollar is applied as designated. Robert Butler, CPA, MBA, also prepares and files the annual 990 to the IRS. Rob Butler, CPA, has won Clarkston News “Best of the Best” for several years. The Dream Project missionaries have an additional level of accountability to World Missions and Evangelism, which is rated by Guidestar as a Gold Member.